Two women were arrested in Florida on Wednesday for helping a man wanted in the fatal shooting of his pregnant ex-girlfriend and an Orlando, Fla., police officer, officials announced, according to Reuters. The women reportedly helped the man on separate occasions over the last month. Jameis Slaughter, 25, an ex-girlfriend of murder suspect Markeith Loyd, was taken into custody Wednesday on a charge of accessory after the fact to first-degree murder, an arrest affidavit from the Orange County Sheriff's Office showed. Slaughter is accused of collecting money for and being in contact with Loyd over the past month. "Approximately 1 1/2 hours after Sergeant Clayton was murdered, Jameis Slaughter's vehicle drove to the Walmart and circled the area where Markeith Loyd escaped," the affidavit read. Loyd, 41, is wanted in the slaying of his ex-girlfriend Sade Dixon, 24, who was pregnant at the time of her death. Dixon's brother, Ronald Stewart, was also injured in the Dec. 13 incident. 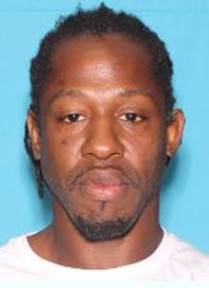 On Monday, Loyd allegedly gunned down Orlando Police Master Sgt. Debra Clayton after she spotted him at a local Wal-Mart. A massive manhunt is still underway for Loyd, and authorities are offering a $100,000 reward for information leading to his capture. Loyd's niece Lakensha Smith Loyd was also taken into custody Wednesday on a charge of accessory after the fact to first-degree murder. The niece is accused of going to a restaurant where her uncle once worked to collect money for him. On Tuesday a manager at the restaurant, Zarghee Mayan, was also arrested for allegedly helping Loyd.